“Rules are meant to be broken” – according to the first law of the “Teenage Creed.” One would imagine that as one approaches adulthood, such a creed would be cast aside and supplanted with a less libertine laced outlook. Yet, reality reveals otherwise. If there is any change, it is this, we have upped the ante. “We break small rules when we are young. Now that we are older, we break bigger rules.” The rampant flouting of laws, ranging from traffic offenses to copyright infringements, avoidance of legitimate taxes to widespread corruption, seem to reinforce rather than refute the point that “rules are meant to be broken,” and that we, especially Malaysians, take special pleasure in breaking rules. If you buy into this principle that rules are meant to be broken, I’m going to take equal pleasure in bursting your bubble. Today, Our Lord does it on my behalf: “Do not imagine that I have come to abolish the Law or the Prophets. I have come not to abolish them but complete them.” To paraphrase, “Contrary to what people say about me, I’ve come not to break the rules but to keep them to the very last clause.” What does He mean by this? When Jesus refers to “the Law or the Prophets,” it’s a kind of shorthand for the entire Old Testament. But the more problematic word is “complete.” What does Jesus mean when He tells us that He has come to “complete” the Law? The Greek word “complete” or in some translations ‘fulfil’ (pleromai) means to fill-up or to expand, to cause to reach fullness or perfection. It’s an unusual word to use when speaking of the law because you would most likely see it in the context of fulfilment of prophecy. But here it refers to the Law. We can speak of fulfilling the law in two ways: by doing everything that is asked or by completing that which is missing. Jesus does the latter. He completes that which was missing and raises it to another level. Jesus, the New Law, brings the Old Law to its perfection, to its fullness and completion – to the end for which it was promulgated by God in the first place. Jesus reveals the original divine purpose of the Law through a series of what scholars call "six antitheses." He speaks with all authority, as One not only fit to comment on the Law, but as the only divinely inspired interpreter, the only One capable of explaining the meaning intended by God. 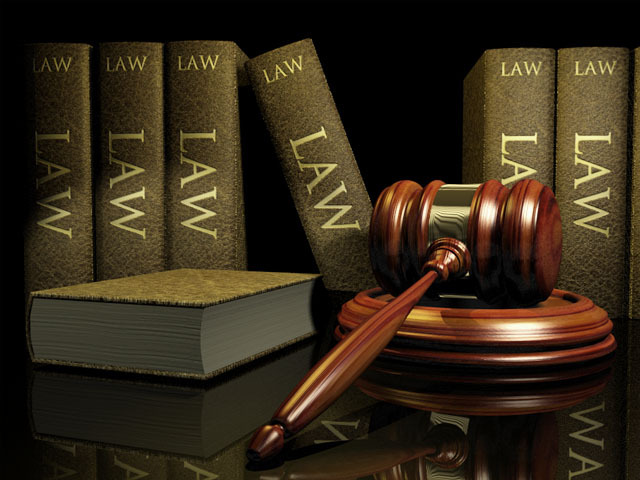 A simple principle of interpretation is that the legislator is the best interpreter of the Law. Here, Christ is none other than that Divine Legislator. Using a solemn formula: “You have learnt how it was said to our ancestors …” Jesus examines key moral codes of the old Law - those regarding murder, adultery, divorce, oath swearing, retaliation and love of neighbour. In each area, He reveals the values and motives hidden in the Law, values that make the Law even more radically demanding upon the whole person. Again, He does not abolish the Law but brings it to its natural fulfilment. In this, He reveals that the new Law transcends the old Law. No longer is the Law of God’s people to be a simple prescription for external behaviour. It is now an interior law, to be written in the hearts of believers. The secret of keeping the Law is this inner dynamism of freedom. So there is absolutely no inconsistency between the Jesus of Love and the Jesus of the Law. For too long, we have been deceived into believing that there is an irreconcilable dichotomy between those who follow the law and those called to love. We were told that to follow the law is to be under a burden, to be compelled or to be constrained. To love, on the other hand, is to embrace the capacity to choose, to be creative and to be liberated. It is this way of thinking that has wrought catastrophic damage in the life of the Church. What happens when you take away the law or choose to ignore it? You would most likely find anarchy rather than love! It’s good to remember the constant plea of Pope Francis to proclaim the gospel of salvation and not the gospel of small-minded rules. The Pope certainly did not wish to say that law and mercy were antithetical. What he wanted to stress is this - that we must never lose sight of the object of that law; that laws must not be ends in themselves. The end must always be Love, and to love is to desire the salvation of souls, which is the mission of Christ and His Church. Yes, we must avoid “legalism.” A smug sense of superiority and spiritual self-sufficiency will cause a person to be lost eternally. But salvation can also be lost by flagrantly choosing to ignore God’s laws. We must stake our lives upon the grace of God, to desire always our sanctification and our salvation, to love Him above all else. But to profess that we love Him, we must be ever ready to obey His commands.